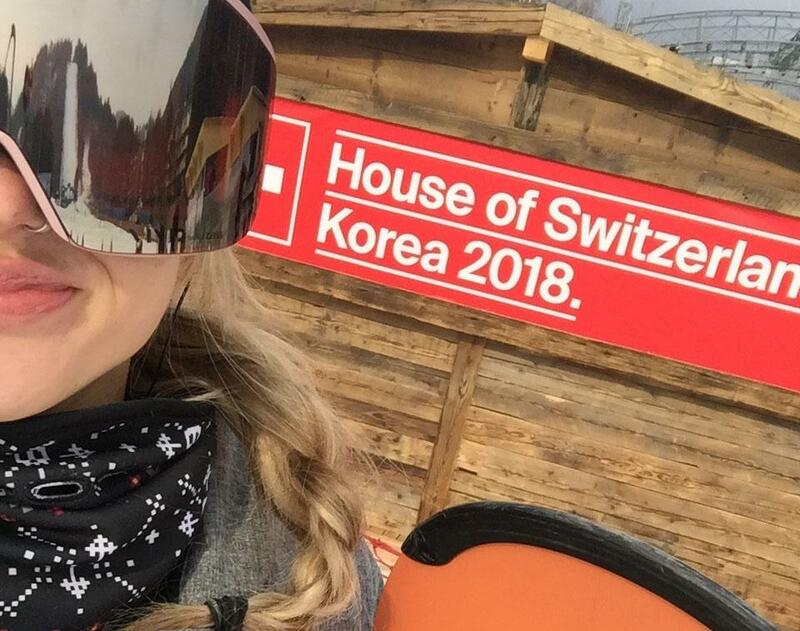 Heather Parham is a Spokane native who attended the Winter Olympics in Pyeongchang, South Korea, to watch a friend compete for the Canadian Olympic team; she agreed to file an online diary for the Spokesman-Review while she’s there. As the Olympic Games drew to an end, it was bittersweet. It was a wonderful adventure, but it definitely felt like it was time to come home. It was fun to be in Pyeongchang around the Olympic Village. It was pointed out to me just how much of the village was constructed for the Olympics — all of the athlete apartments, the stadiums… and the Vantablack building, which was sprayed with the blackest pigment ever invented and absorbs 99.6 percent of light, resulting in the almost complete absence of color, other than black. It’s indescribable! I continued to get to hold even more Olympic medals as the week went on, including a U.S. women’s hockey gold medal! I also held New Zealand’s women’s big-air snowboarding bronze medal, won by Zoi Sadowski-Synnott. At the time that she won, it was the Kiwis’ first Winter Olympic medal in 26 years. I was sad to leave South Korea, which quickly turned out to be one of the most exciting experiences I’ve had; I left Sunday, the day of closing ceremonies: tickets were $700. The ticket price definitely helped ease the regret of having to leave that day. Before I left, I went snowboarding at Yongpyong, an Olympic mountain. Right at the bottom, where we got on the lifts, were the Olympic Houses for Korea, Switzerland, the U.S. and Sweden: It was one big party, with music and some of each country’s best-known dishes being offered. There are 195 countries in the world; 91 were represented at these Olympics. It’s no secret that there’s a lot of tension between some of them. I quickly realized that the Games are not about individual countries, not about politics, but about entertainment and fun. Competitors are rooting for each other, hoping for personal bests. To the Olympic athletes, the highly coveted medals almost seemed to be a bonus. The next Winter Olympics will be held in Beijing in 2022; I’m definitely planning to go! Published: Feb. 27, 2018, 6 a.m.